On this episode of The GAP Luke Lawrie and Joab Gilroy are gearing up for PAX Australia this weekend by talking about a few of the things they are excited for. 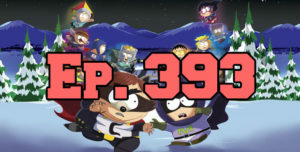 They also discuss the games they’ve been playing which includes South Park: The Fractured But Whole, Phantom Doctrine, Gladiator Rising, Deceit, Stardew Valley, PlayerUnknown’s Battlegrounds, and more. Over in the news Activision has a terrible idea for Microtransactions, EA shutsdown Visceral Games and their Star Wars production, a Xbox One X hotel is popping up in Sydney, and the reason why Wolfenstein II doesn’t have mutliplayer. This episode goes for 2 hours and 25 minutes, it also contains coarse language.